Marjorie and her staff allowed us into the therapy room early to use the swing, which has a calming effect on Clay. When Marjorie came in, he was ready at the gate for his hour-long session. Marjorie—who told us a few weeks prior that she is having a baby—was looking more like a mom-to-be, with a striped t-shirt hugging the little one growing in her belly. But Clay, we quickly found out, was not so thrilled with her wardrobe choice. 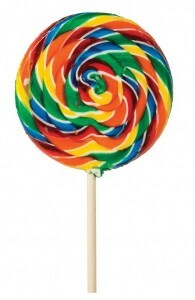 “you look like my lollypop,” he typed a few minutes into the session. At first we thought he was joking and laughed, but then I wondered if there was more to this remark and asked him to elaborate. Knowing he has convergence issues with his eyes, Marjorie asked him if the stripes moved. Clay told her they did. I lent Marjorie my black cardigan sweater to cover the stripes, and Marjorie worked to release the tension she felt in the back of his neck. She explained to Clay that this, along with different ways of spinning on the swing, actually help the eyes communicate with his brain better. His brain, she told him, has to work twice as hard to process visual information. Marjorie brought in a pair of non-prescription lenses and covered the left eye so Clay only had to use his dominant right eye. Knowing how sensitive he is around his face and head, she introduced the lenses for short periods of time and in various methods. “they made me feel better,” he typed. While it was only a baby step, it was clear that Marjorie was onto something. Clay began to slow down and reduce the self-talk—what he calls “festive noise”—that he desperately wants to control. The goal is to get Clay in a place where he can then work with a developmental optometrist, but we need to take it slowly. He left, as usual, with a smile on his face. As we drove home, I thought about how confusing the world must look through Clay’s eyes. I am amazed at how well he compensates for his vision problems by orienting with his body through movement, finding his spacial awareness in corners of rooms and small spaces, and often favoring his peripheral vision. No wonder ball sports are so overwhelming. And no wonder he moves around so much. Now, every time I see a swirl lollipop, I’ll remember this day and how Clay helped us better understand how he sees the world. This entry was posted on January 15, 2014, 10:46 am and is filed under Communicating, Daily Life. You can follow any responses to this entry through RSS 2.0. You can leave a response, or trackback from your own site. Interesting! I have a son, now about five and a half years old, with autism and severe sensorimotor problems. When we began his training, we had no idea how huge his visual perception problems were, but we knew he had an enormous amount of problems in several areas (completely dependant, non-verbal f ex). He’s come far, and we’ve learned along the way. When he had improved quite a lot, he was able to tell us about his vision and we tested him to see if what he was saying seemed true – and everything checked out. We know now, that before he had a complete double vision and due to that he had no depth perception or stereovision. He had large problems with contrastvision, he also had problems with visual acuity – including being litterally “half blind” on his right eye. Everything that moved became completely blurry to him, and everything that stood perfectly still vanished when he tried to focus (due to his motorproblems). 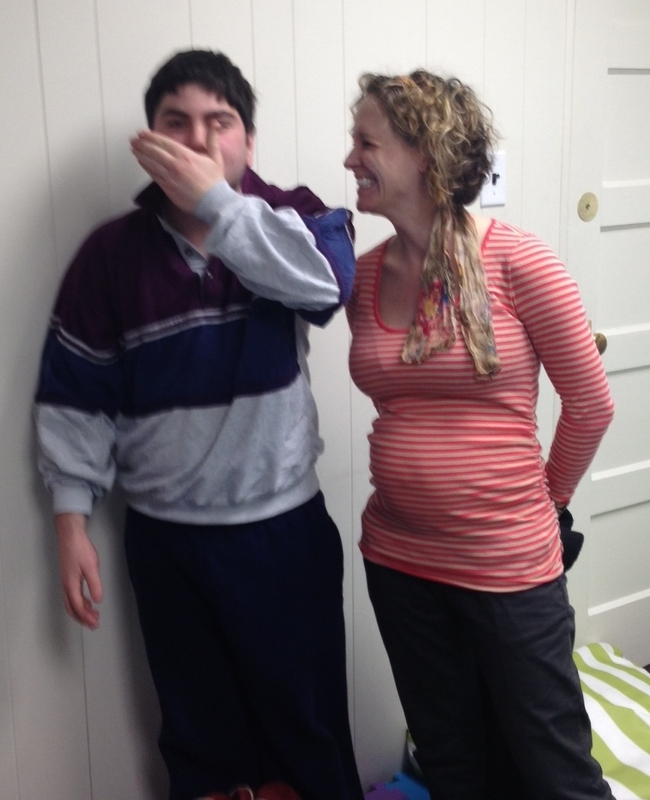 We also learned that he’s synesthetic, and (among other things) sees all sounds as colors in front of him. His visual world was total chaos! We’ve now been training for a little over two years, working with his vestibulary system. He now had perfect visual acuity – both eyes – and no problems with contrast. Since about two or three months, his double vision is all gone and he now sees the world in three dimensions. His eye tracking ability is greatly improved and he now can focus at least up to five seconds on a non-moving object without it “disappearing” which has made a world of difference for his eyecontact. These are only a few parts of his development, his motor skills ate overall imoroving constantly! And of course he and I both are thrilled. We’ve been working with training according to INPP, but actually also had some contact with Marjorie Cases before we really got started. I don’t know if she remembers us, but would you give her my best..? Tell her its Nilla from Sweden, hopefully that will help.